On the first Tuesday of every month, The Bookstore Plus hosts a unique Book Club experience where readers have the opportunity to discuss the book club pick with the author via video chat! 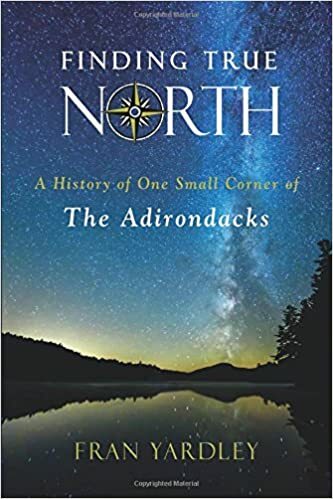 Tuesday, May 7th, 2019, at 7:00 pm the author, Fran Yardley, will join us IN PERSON to discuss and answer questions about her book "Finding True North: A History of One Small Corner of the Adirondacks". Our book club is open to the public. Pick up your copy today at The Bookstore Plus. An evocative and personal history of a unique historic place in the Adirondacks. In 1968 Fran and Jay Yardley, a young couple with pioneering spirit, moved to a remote corner of the Adirondacks to revive the long-abandoned but historic Bartlett Carry Club, with its one thousand acres and thirty-seven buildings. The Saranac Lake–area property had been in Jay’s family for generations, and his dream was to restore this summer resort to support himself and, eventually, a growing family. Fran chronicles their journey and, along the way, unearths the history of those who came before, from the 1800s to the present. Offering an evocative glimpse into the past, Finding True North traces the challenges and transformations of one of the world’s most beautiful, least-celebrated places and the people who were tirelessly devoted to it.